A Fallout 76 Build by TheCackilackian. End-4:Mostly a dump stat for me, have ironclad 1 and professional drinker to assist with happy go lucky assuming its good for a 15 luck build anyways. Can always allocate points for here to somewhere else like Per or Str. Luck-15 Definitely one of the more important stats, used to get criticals easily, as well as use critical to deal more damage, with class freak and starched genes for eagle eye and marsupial and adrenal reaction. Have 1 four leaf clover as well as 3 crit savy for crit shots and better criticals which stacks with eagle eye if I’m right. Grim reapers sprint for action points and such. -Anti Armour, better criticals Lever action (If I use rifles and pistols). So, what can I do to improve this build before I start using it? Does it have any major or glaring flaws? 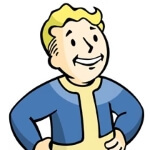 I don’t know fallout 76 to well and would like to know if it’s even viable. Thanks for the feedback! Get rid of the melee, and only use 11 luck. Genes, class freak, mess, and better crits. Savvy isn’t good because you’ll have no trouble filling the meter with a luck of 11. (It used to be very good before the nerf, you could crit multiple times in a row) Ironclad is a terrible card. As far as endurance cannibal or the dog food card. Agi you want at least first card of gunslinger or all nine, 3 sneak, 1 escape artist, 1 adrenaline and the rest personal preference. Happy go lucky is overkill. Tenderizer is better. Grenades got nerfed too hard to be a good back up. I would suggest 1 rank in each commando perk and use an automatic of some kind, handmade or 45 smg are good picks. When it comes to the commando suggestion would it be better to use a semi auto rifle replacing one of the cards with tank killer for armor penetration? Or do magazines do enough AP as it is. What should the 4 points from luck go into? If I’m not using happy go lucky I will likely drop END down, as I only really wanted it for professional drinker, should I realocate those points into CHA or PER? I assume Modern Renegade and Gun Fu aren’t worth it? If I remove grenade perks from PER would it be best to use single shot rifles and tank killer or full auto ones and commando. Last question, if I drop melee should I keep some points in STR for carry weight perks or drop strength in favor of other stats. Thanks for the advice, just wanna get everything set up build wise before I start the character. Semi auto rifles would be fine too, as long as your using the faster fire rate ones. I find many of the pistol perks other than the damage ones are too gimmicky and lacking in power, gun fu is very situational. As far as carry weight perks keep some strength because traveling pharmacy is the best of all. Bando is also quite good, but you can definitely live without it. Pistol ammo is generally very light. Pistols are mostly looked down upon but in my opinion they are very good. I ended up making some changes to the build focusing on both rifle and pistols having 15 in both perception and agility, as well as some extra luck mainly to fit more of the luck based damage perks such as better criticals and bloody mess with grim reapers sprint, starched genes and class freak, I’m at around level 39 now, using a level 25 somerset special. Completely dropped intelligence, just going to use my other character for crafting so i don’t have to relearn all the plans and have points in intelligence. I did add sneak and covert operative to the build for when I can get sneak attacks with critical, it hits hard. I don’t have many carry weight issues, as I don’t carry around very heavy weapons currently, the rest of my points are going into charisma as I have a group of players I’ve been playing, leaves me with 1 in all but Perception agility charisma and luck, if I decide to change i’ll move 2 points from charisma into str for traveling pharmacy. Currently my planned set up for charisma is maxed inspirational, with strange in numbers, a rank 2 tenderizer and rank 2 squad maneuvers. 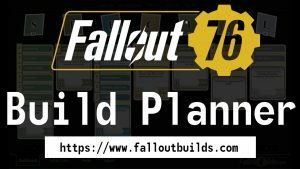 Thanks for the advice though, I’ve included a bit of it into my build after the overhaul I did to it in the planner. I was able to finish the main quest using gunslinger but it was tough. Switched to rifles afterwards and it was much easier going. Having Legendary pistols will help. Might want to add sneak. This forum has 495 topics, 541 replies, and was last updated 1 day, 7 hours ago by Sentinel76.